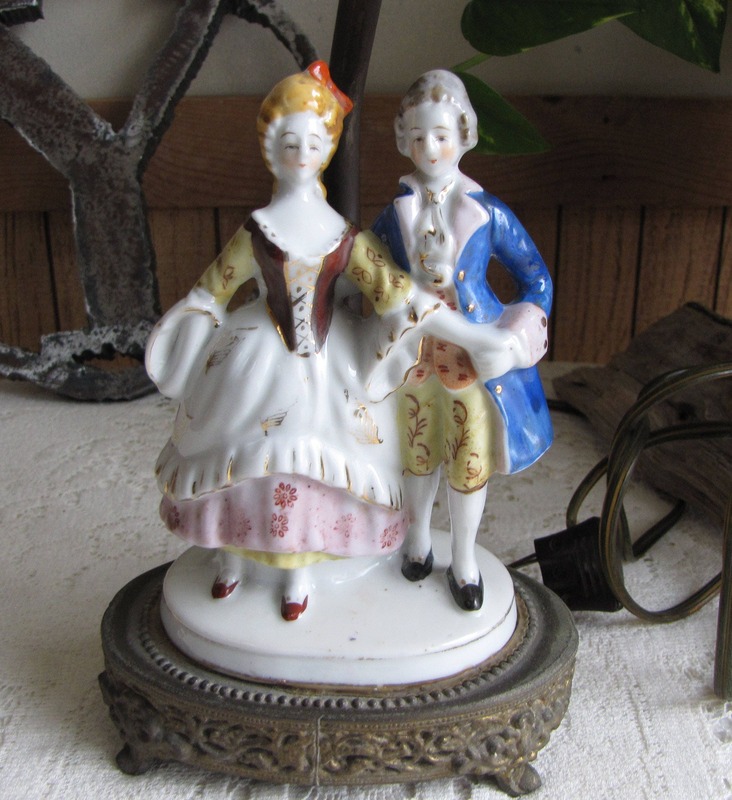 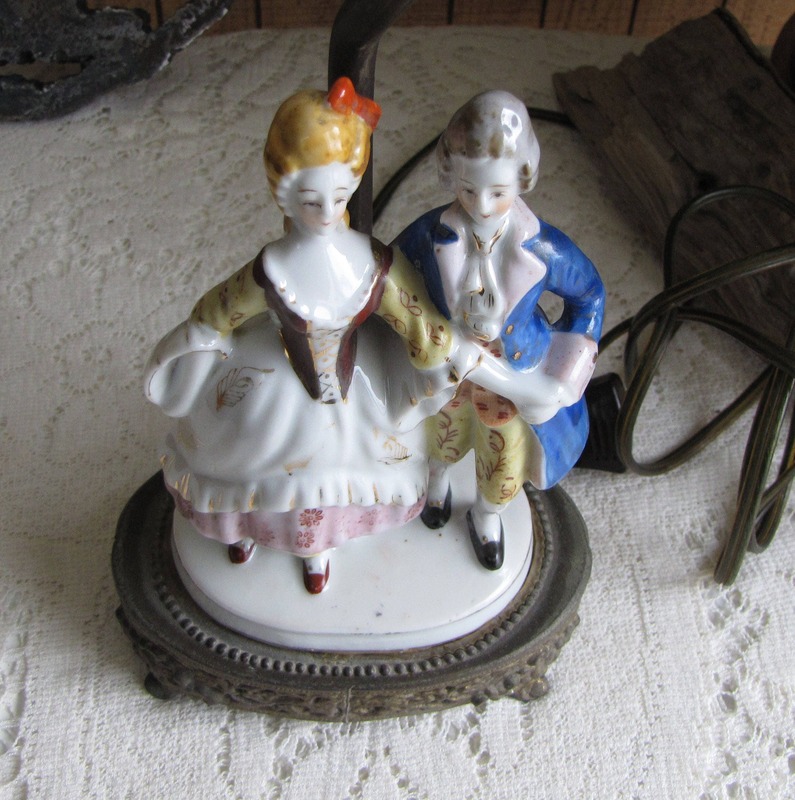 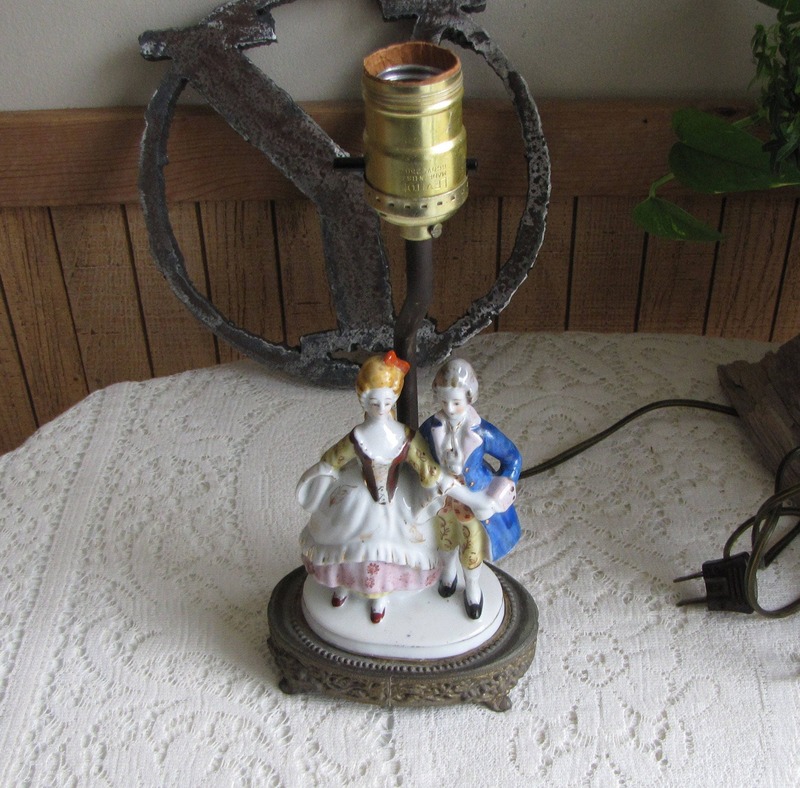 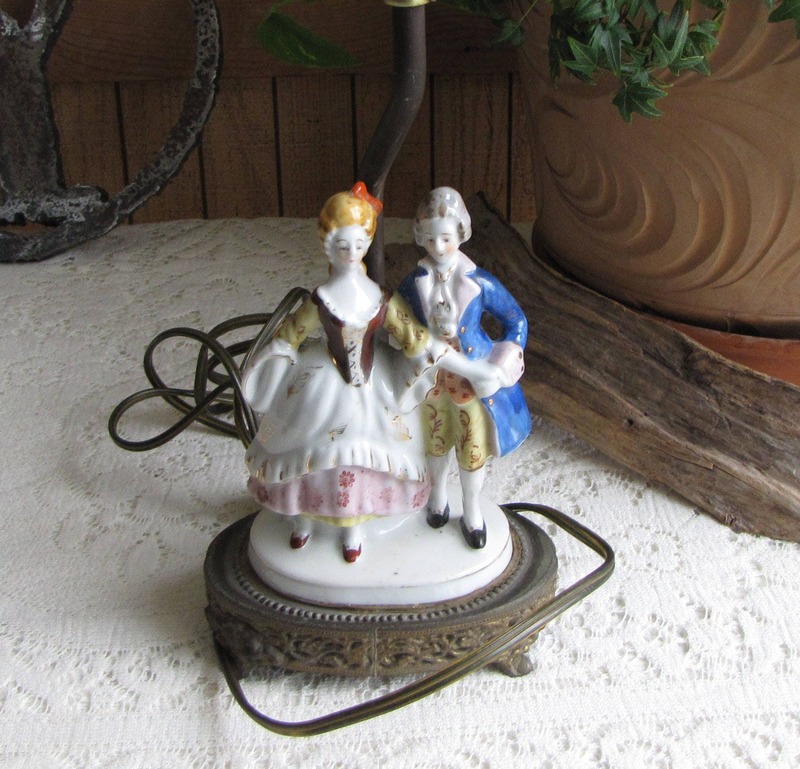 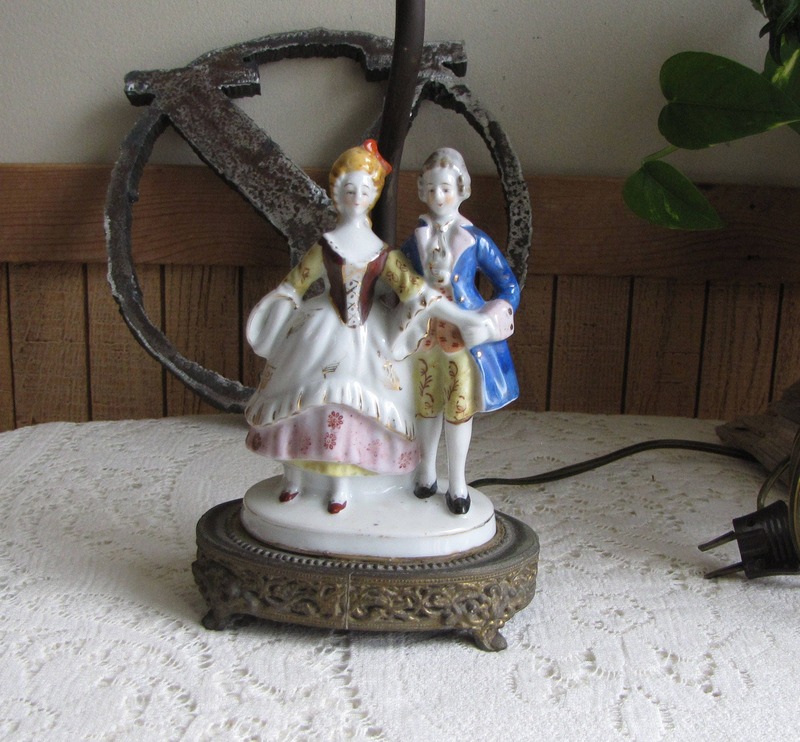 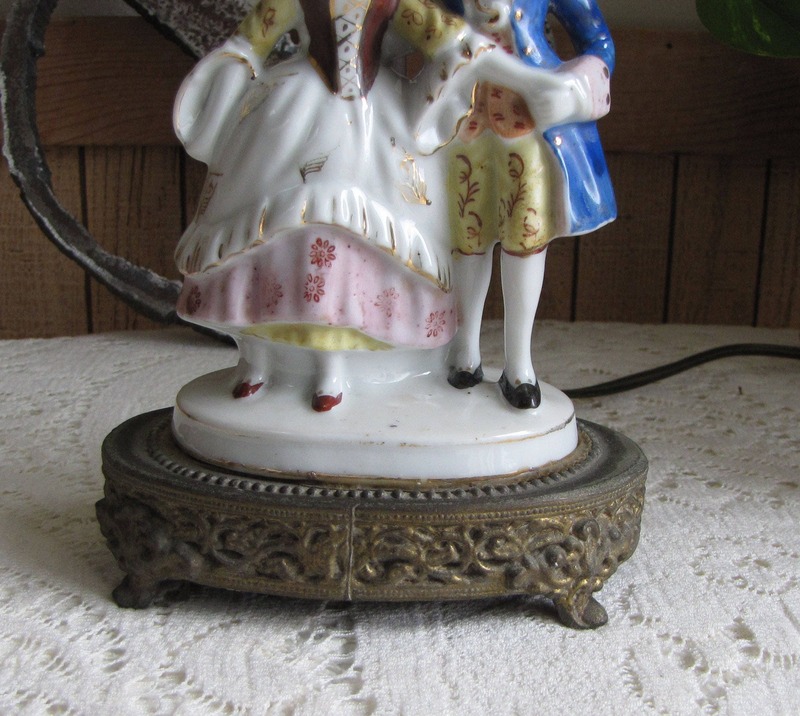 This a pretty French Provincial lamp with a Victorian ceramic couple figurine and brass base. 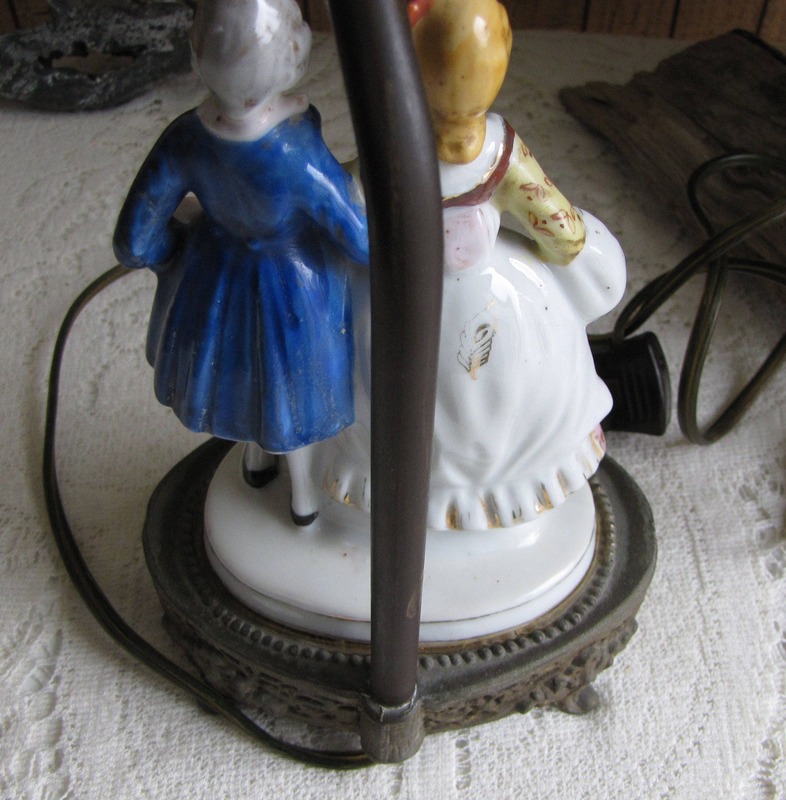 The lamp is in very good vintage condition with no chips, cracks, or crazing. 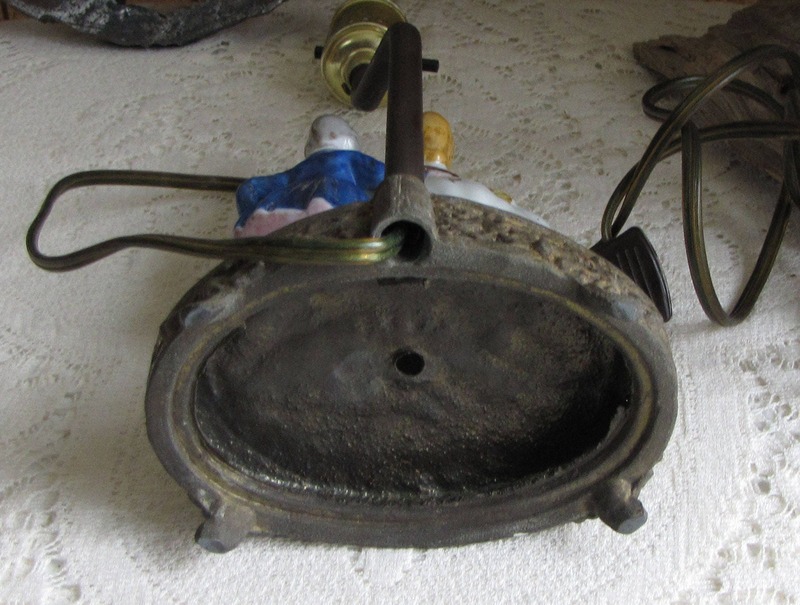 And, it works electrically. 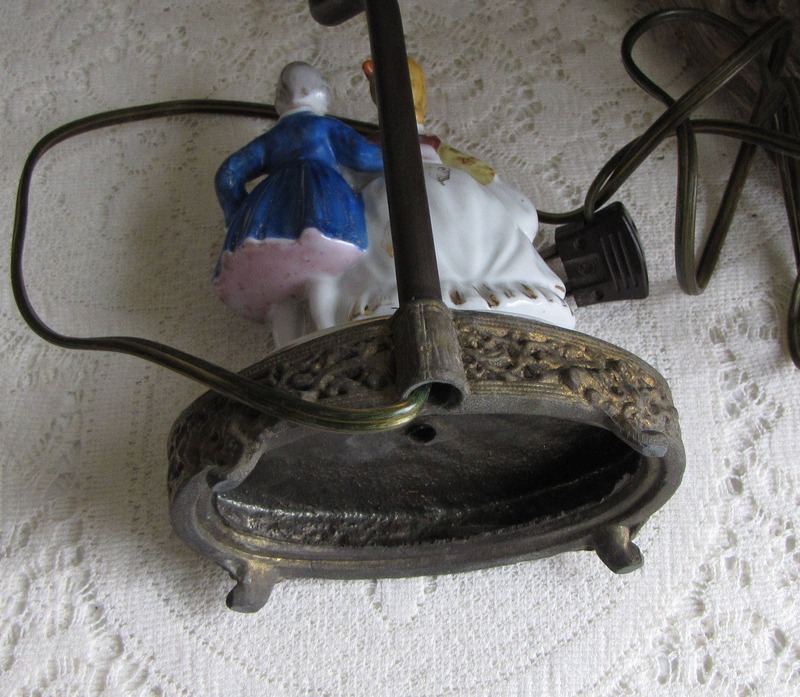 The electric plug is older and would probably need to be replaced. 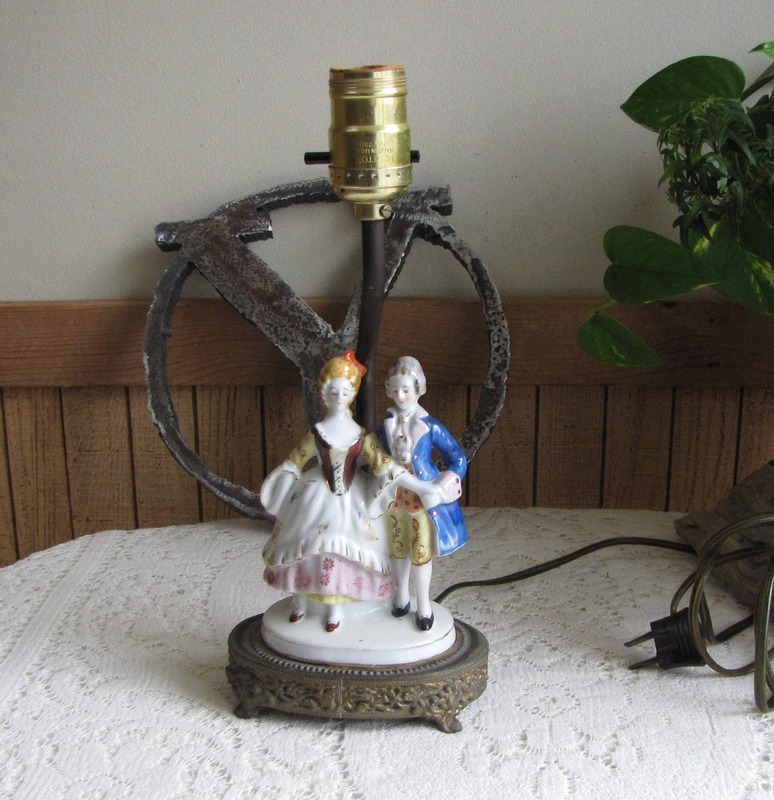 The lamp measures 11.5 inches tall (to the socket) and 5 inches x 2.5 inches.